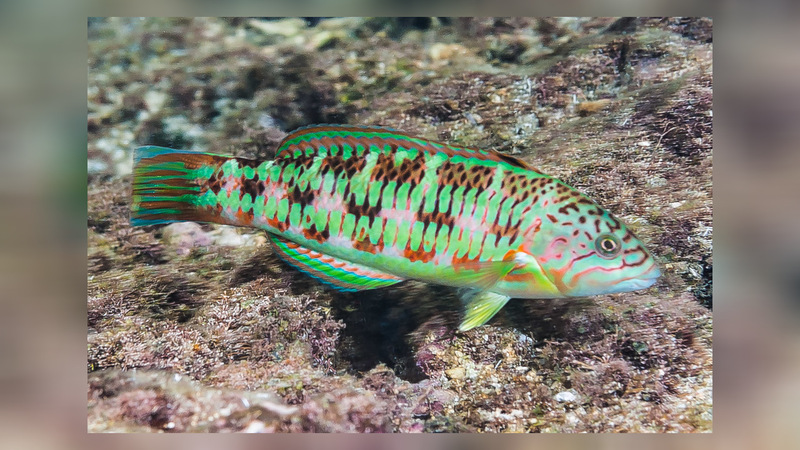 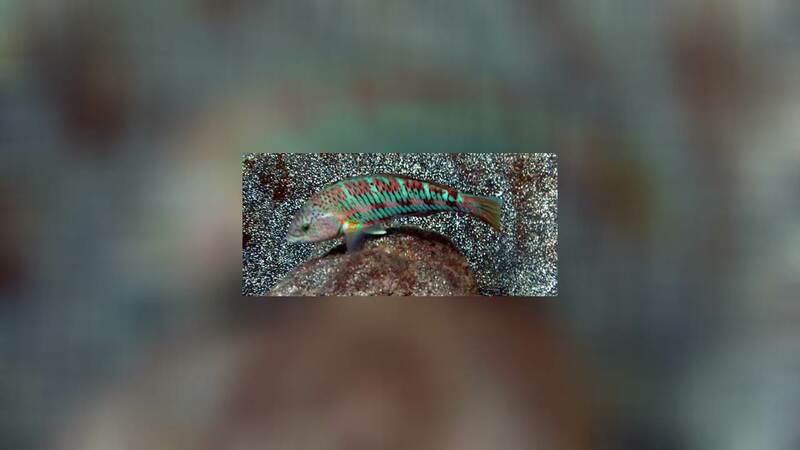 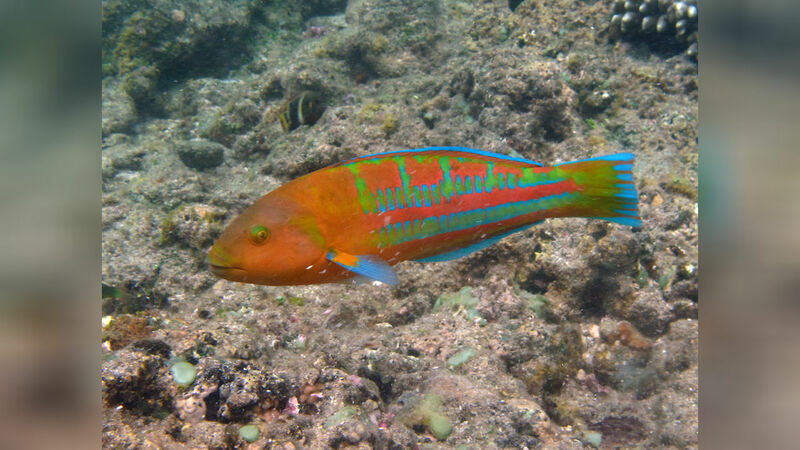 A colourful wrasse often seen in the surge zone on reef flats and reef margins. 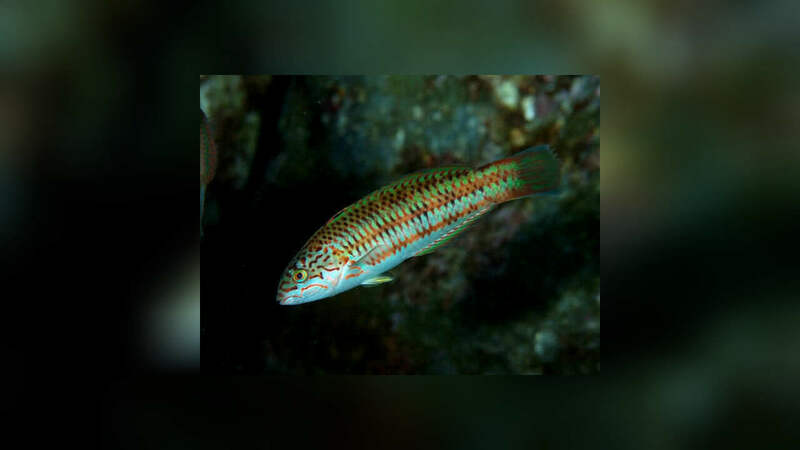 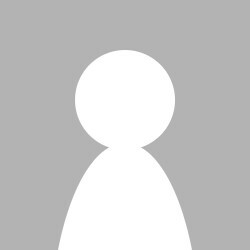 Females have spotted head and no 'V-shaped' mark on the snout. 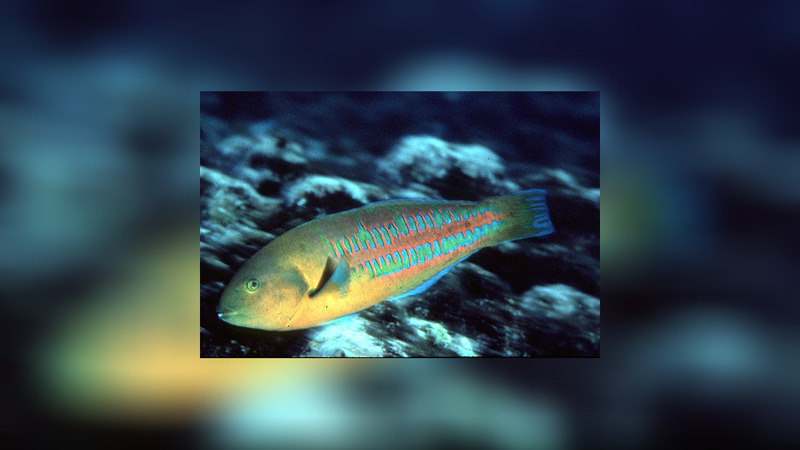 Males have a plain brownish to orange or bluish head.